Are you seeing stars?! Nope, it’s just me, Edwin! Just like two other famous astronomers that share my name, I am a space explorer who enjoys sniffing around and discovering new things! 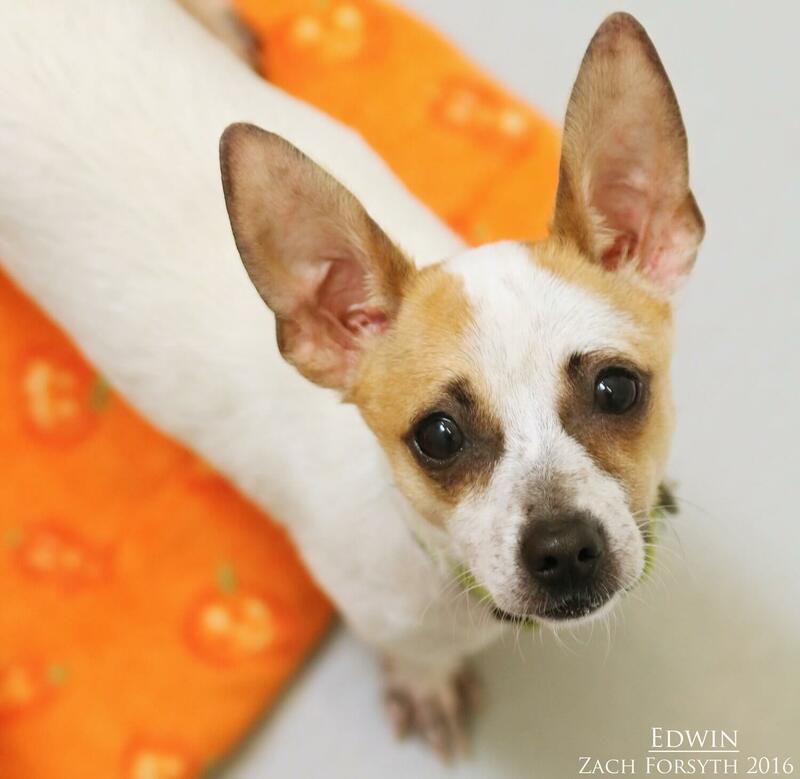 I’m just a little 2 year old Chihuahua mix who loves a good lap to snuggle on, as we peek through the telescope together admiring the stars! I am a very social guy and really enjoy playing with my doggy pals here at Pixie after a long day’s work at the observatory. I am even ok with those things from another planet. What do you call them….oh yeah, cats! I prefer older sophisticated beings like myself, so I need to be in a home with kids ages 10 or up. Will you love me to moon and back?! Fill out an application today, so we can meet. I come to you neutered, vaccinated, and micro-chipped with an adoption fee of $250. 3..2..1…BLAST OFF!